Early last year, when Warren Buffett's younger sister, Roberta Buffett Elliot, gave Northwestern University $101 million to ramp up the Buffett Institute for Global Studies, it was cause for celebration. 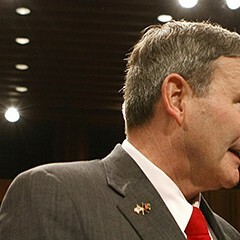 But when Northwestern announced that retired U.S. Army lieutenant general Karl W. Eikenberry had been chosen to head the institute, the mood turned to consternation—followed by months of faculty protests, to no avail. 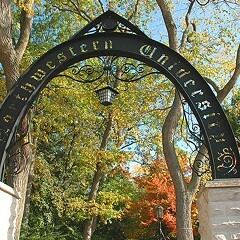 Last week Northwestern abruptly changed its mind. Never mind, the intent of the concluding sentences is clear: Linzer thanked Eikenberry for his time and said they'd still be friends. The administration was waving a white flag. 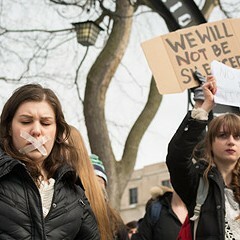 But it looked like Linzer and Northwestern president Morton Schapiro were going to stick to their guns, writing in their own open letter that Eikenberry had been selected precisely because of his “access to a broad array of scholars, government officials, and world leaders.” And on April 6, the Faculty Senate hastily approved the appointment. So what caused the change of heart? Was the administration finally won over by the argument that the integrity of the institute was at stake? Were they concerned about a resolution opposing the appointment that was coming up for a vote by the student government? Or did Eikenberry pull the plug himself, after questions were raised, for example, about a trip he made to Rwanda last year under the auspices of the Rwandan military? 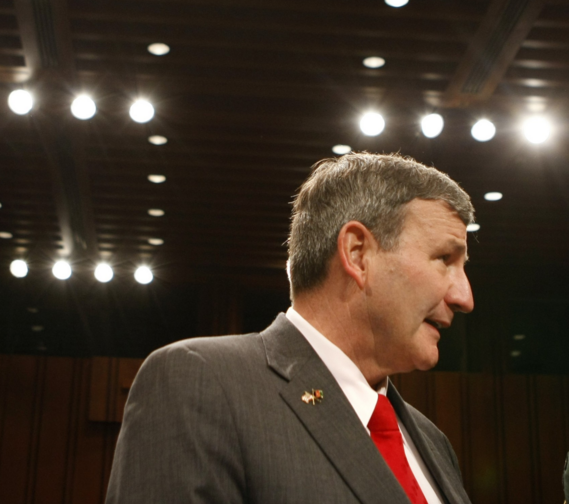 Neither Northwestern nor Eikenberry responded to requests for comment. 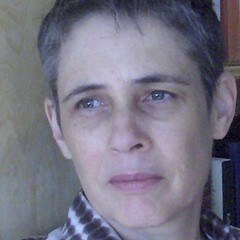 But according to a timeline released by a group calling itself the NU Community for Academic Integrity, on April 10, Northwestern political science professor Jacqueline Stevens e-mailed Eikenberry, requesting information about his relationship with the Rwandan government, and reiterating a previous request for his resume. Stevens says she didn't get a response from Eikenberry. But on April 14, Linzer issued his announcement that the appointment had been ditched. Faculty members question whether a lieutenant general turned ambassador should head the school’s $100 million Buffett Institute for Global Studies.